I have a 1976 Dart Lite, the twin to the Feather Duster. Mine is currently a /6 but was an early version that came with the 3 speed manual, instead of the 4 speed OD. I have the 4 speed, so it will be going in at some point. 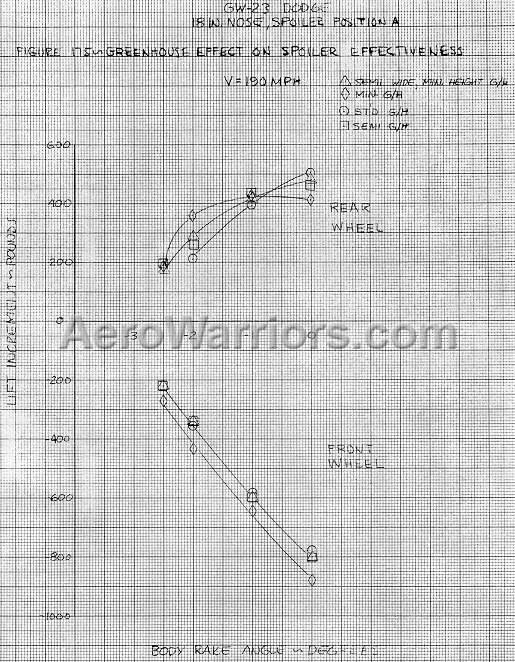 I am conducting my own MPG experiment as we speak, and it is posted on some of the Mopar forums (Forabodiesonly.com and slantsix.org.) I have gone from an as purchased MPG of 13 up to 20 MPG so far. I am making modifications bit by bit, with a goal of maximizing the tune on the car as is, and then swapping in the overdrive transmission. IMO the number of 36 is not realistic, as the method of reporting MPG was far different then it is today. I would be thrilled to be at 25+. Bear in mind, my current is combination of city and highway, so a max out build with all the tricks could be into the 30's but I just don't see 36-36 as possible. I am modifying with the intent of the turbo that is going on this winter, so some modifications are not totally directed towards an absolute Ecomodder direction, but the general direction is something that I can build and tune towards best mileage possible in an older hotrod, on a 3 or so times a week driver. 25 in the Dart seems real doable.I inherited my grandfather's '62 Dodge truck.It started at 11-mpg.I lost the 4:56 rear axle,slipped in a 3:50 out of a later model 1977 truck(bolted right up),went from 3-speed to 4-spd OD trans(1977also)which required emergency brake conversion and custom slave-cylinder bracket.With a electric fan conversion,streamlined nose and aeroshell,front gap-fillers and full wheel discs,she's good for 21.5 mpg at a steady 70-mph,with a very weak 225.I've had it to 95-mph on three occasions.Don't know what a fresh engine would do.------------------- The smaller,lighter Dart you'd think would be a shoe-in for better mpg. There was also a slant Super 6 with a 2-bbl carb and a freer-flowing exhaust manifold than stock. For the Feather Duster they used a 1-bbl carb and the Super 6 exhaust manifold. 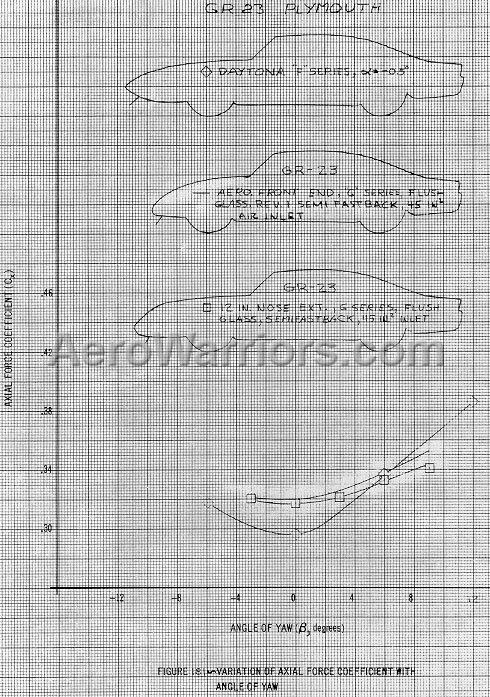 I agree that 36 mpg would have been quite a stretch even with the manual w/OD . I'm reviving this long dead thread again in the hopes that you all can translate some of the data presented in the charts. What do you guys make of this ? A huge amount of data on this site. I was working at my first full time job when I first saw a Daytona Charger, and the dealership did not sell Dodges, just Chryslers and Plymouths. $1.45 an hour and I could buy a new 340 Duster for $2875. 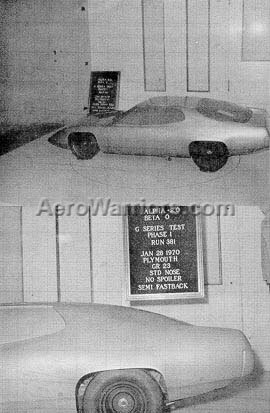 I never knew about the 71 version of the Superbird, put a nose cone on a wrecked 1970 model. 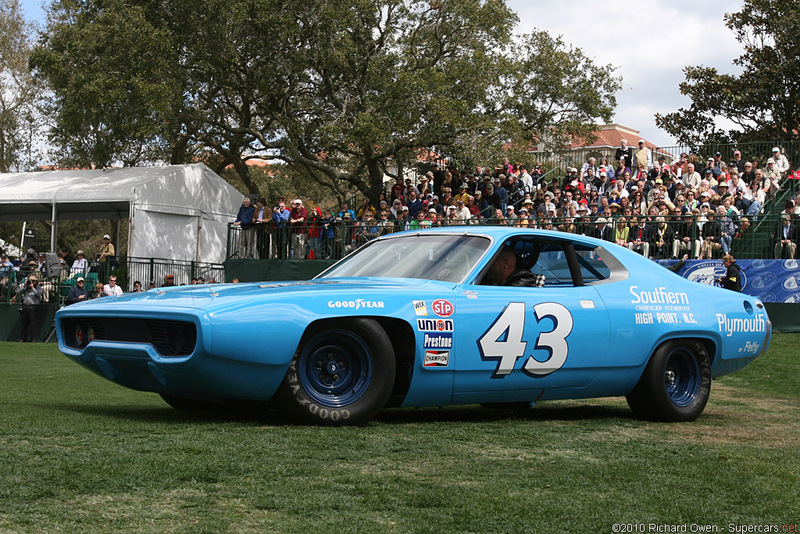 Always thought the 71 Satellite-Road Runner was the best looking Plymouth ever made. Wish I had picked up the 55 Chrysler (1st year no letter) 300 parked in the lot behind Grafton Garage. Pop bought a 74 Dodge version of the Duster with a slant 6 and manual transmission brand new for right at $3k, we drove it from Va to the Florida Keys. I think it got close to 30 MPG and it had a very tall rear axle ratio. We he picked the car up they had never put rear axle fluid in it and did not check it when the did the PDI. It almost locked up, they let it cool off and the filled it and he never had a problem with it. The graphs mostly investigate lift, and coefficient of lift. The last graph gives Cx, aka Cd = 0.295 at 0* body rake. different wind tunnels give different numbers...it may not compare directly with GM's wind tunnel, or A2. 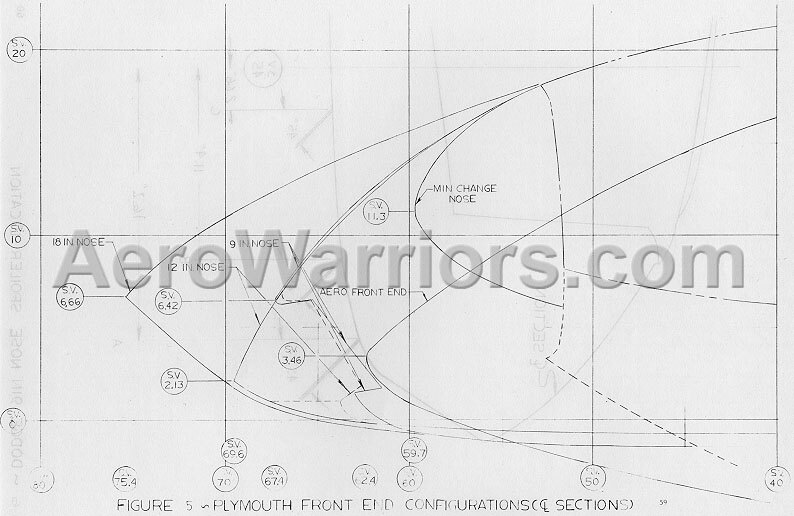 *The first image depicts the different nose configurations. *The second image is showing front and rear lift for different yaw angles,with the 18-inch nose,with airdam at position-A. *The 3rd is investigating lift at varying degrees of yaw,with different grille/inlet combinations. *The 4th is showing the Cd as a function of noses at different angles of yaw. *As to the Cd of the 'naked' Plymouth,if it is similar to the 1969 car,then Chrysler credited it with 0.35 if I remember correctly. I have owned 2 71 Plymouth Sebrings and agree about the looks. 20 years ago I bought an airgrabber hood for one. I put it on temporarily but otherwise it sat and sat in the garage, I always looking for a 71 Roadrunner to put under it. Finally sold the hood for almost $1000 to fund my 68 Barracuda project now also sold. The car Petty ran in 1971 looked pretty good without the winged treatment. 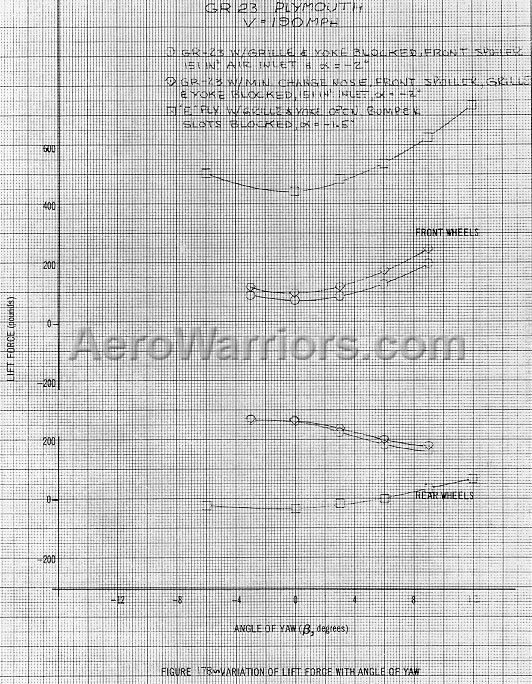 I wonder how good it was aero wise to the superbird considering the improvments to the B body from 70 to 71.